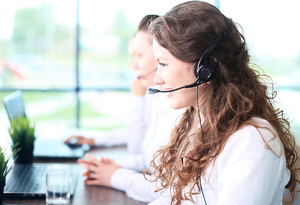 Many online companies add live chat support to their websites as a means to offer quick and efficient customer service and increase customer engagement. Not many though recognize the value of live chat in creating customer trust. Perhaps only few website owners question themselves, how adding live chat support can help them build greater trust with clients. At the same time, most of us are aware of the damaging effect that this tool can cause to company’s reputation and customers’ trust when it is being left unattended or mismanaged. Most of us at least once faced a situation when we were hopelessly trying to contact live chat support of a certain company and we either were made to wait for too long, or our call was ignored, or advertised 24/7 support stayed offline for days and weeks. This experience of course did not fail to shake our trust in the company’s credibility and responsibility before their customers. Especially if you are a start-up, adding live chat support to your site and managing it well, can make a great difference in how your clients perceive your company and how much they trust you. There are so many online scams, that mistrust and suspicion to all new market players became natural. So if you are planning to add live chat to your site or are already using it and would like to make sure that it works for increasing customer trust and does not damage your company’s reputation, below are our 6 tips on what things you need to pay attention to. Just not to create any false expectations in your customers, give them a clear message when they can reach you. If you are a small business and cannot offer 24/7 support, it’s ok, as long as your customers are aware of it and you give them time convenient for them at which they can reach you and address their problems. Many companies just go with default customization options without recognizing the importance of branding of the chat support tool. If you decorate the messenger with your company logo and apply your brand colors, customers will see that you are serious about your brand, that you take time and effort to make them remember it. And if you make these investments, of course, your clients will trust your company more and will feel more secure buying from your site. Let your customers get support easy. Try to avoid any complicated bureaucratic procedures where they have to fill out multiple forms just to get an answer to a simple question. Especially if you are a startup and trying to collect too much information about new clients without first offering them some value, at least in the form of easily accessible support, this will diminish customer trust to your company. Of course, without offering high quality customer support, it is very difficult to establish trust in your business and earn any long-term clients. Understanding the importance of investing into professional customer service tools and training programs for your CSR agents will pay off in the long term. The better service your clients receive and the better impression they have from interacting with your support team, the more trust they will have in doing business with you. To establish greater trust with customers, it is good to show them there alternative contact options which they can use to solve their problem. Unfortunately, there are many scam websites which misuse live chat support to create a false sense of availability and online presence, while in fact they can never be reached online. To avoid being perceived by the customer as one of these companies, especially if you are a start-up, offer them other contact options, such as phone or email, and make sure those channels are also attended at the specified hours. If solving the customer’s issue requires more than one interaction, make sure that agents are actively involved in the process and they always follow up with clients. This will make the customers feel that you care about them and they will trust you more, as they will see that you are making extra efforts for them, which means you are a reliable business. These were our 6 tips on how you can make sure that your customer service tool is helping you build a stronger connection with your clients and earn their trust. Are you using live support on your site? Did you notice its effect on how clients perceive your brand and how much trust they have for your company? We would love to hear your stories and comments. This entry was posted in Articles, Best Practice, Tips and Tricks and tagged building customer trust with live support, customer care, customer engagement with live support, live chat and customer trust. Bookmark the permalink. I work in a call center right now, and I really liked these tips. I liked number three about being transparent, and I can attest that customers will be happy if you are just honest and genuine with them. As long as you are interested in the customers well being, you shouldn’t have to worry about transparency. Thanks for sharing this article with me! Thank you for reading our blog, Jake! I think training for it support customer service is a great idea. I used to work in customer support when I was in college. I remember having monthly meetings to learn how to handle and work with customers effectively. I think it made a world of a difference. Thanks for sharing! Thank you for sharing your experience, Logan! I love what you said about not creating false expectations. If your tech support is busy and you know it will be a hot minute before someone is available, customers won’t appreciate being told someone will “be right with you”. Thanks for the advice! Yes, even in our personal lives it has much greater negative impact when someone is promising something and not delivering it rather than keeping silence or saying “I will try” or “I will see what I can do” and then doing it if it’s possible. In business, this psychological effect also has a place, so it’s important to keep it in mind. Thank you for engaging, Drew!